Fast metal Nunchakku swivel HIGH QUALITY shiny nickel plate. Nunchakku swivel. Make Your own chucks! 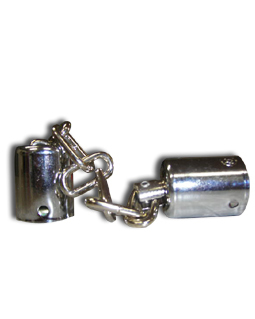 Proper length chain, omniversal super fast ball bearing swivel.